Have you ever heard the term “Electronic Control Module”, or ECM? Did you know about it earlier? If yes, you do not necessarily need to stop by, but if you haven’t, we have got some interesting facts that we have collected from the Chevrolet dealer Decatur that we felt like sharing. Starting with an attempt to explain in simple terms, what it is we would like to share what is its role in running a car. Considered as the brain of any modern vehicle, this is a unit that plays a vital role in the functionality of a vehicle, without which any vehicle will come to a standstill. Read on to get a short glimpse at this unit that we call as the Electronic Control Module. The ECM can be best described as the central part of a system, and a host of multiple sensors that work in tune with each other, is made of connectors, actuators and wires. In this system while the Sensors are responsible for monitoring voltage, heat, location, movement, magnetic force, this system itself plays the role of measuring everything including the level of coolant, engine temperature and even the positioning of the cameras. These sensors on the other hand keep reporting their data through a voltage or through a collection of wires and connectors carrying back the signal to the ECM system. From there, the signals travel back to the actuators making the necessary changes to the system at the event of something not functioning its usual way, or else help maintain the status quo if there isn’t any story of malfunctioning detected. The ECM is an onboard computer that is a conglomerate of hardware that works with the help of a circuit board with tamper-resistance feature and this board is protected from all sides with an unbreakable cover. In this computer the hardware components host a preprogrammed software determining the recommended parameters. From that stage it starts disbursing commands that are based upon the input data that is received from the array of sensors. All this takes place almost instantaneously, because of the advanced highly responsive technologies. The ECMs take charge of all the electrical aspects of a vehicle, especially on the engine performance by monitoring the air circulation, fuel flow and spark to work at the correct ratio maintaining a specific timing. How to Diagnose an Issue with the ECM? 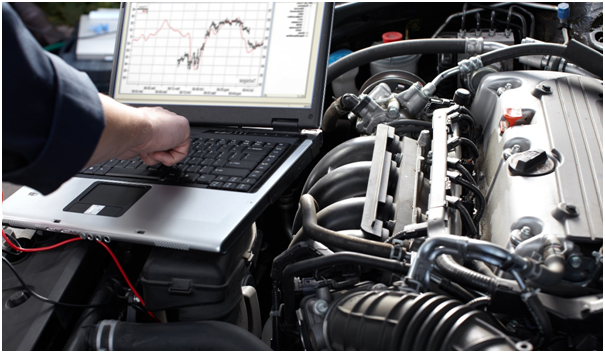 As we have known by now, how important is the role of ECM for the functionalities of a vehicle, it won’t be difficult to estimate how its disorder can affect the vehicle altogether. But how to know, if it is the ECM which is at fault, if something doesn’t work properly in your car? Well, the mechanical team of the Chevrolet Decatur dealership confessed that unless a technician gets access to it with the scanner, it can’t be properly diagnosed what is wrong in the entire system. For the mechanics it is in the code that gets displayed in the ECM monitor, reading which, the issue can get diagnosed. This happens because even the latest ECMs are not programmed in a way to be capable of differentiating between a malfunctioning part and a sensor. For the novice users, it is only the check engine light that will create the alarm. Where Can You Get The Best Car Painting Services At Your Doorstep? How to Rent a Moving Truck for You? How Do You Deal with a Car When You No More Need It?